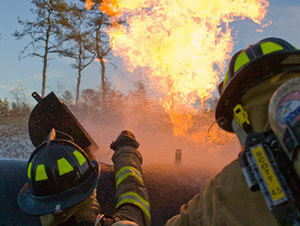 BullEx Smoke Generators create the most realistic fire training scenarios by generating the thickest, densest smoke to recreate the actual experiences a firefighter will face. 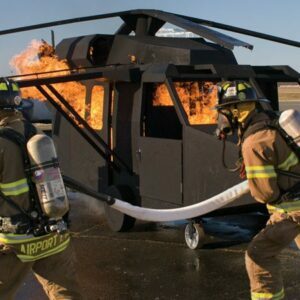 Whether you are conducting search and rescue training, ventilation operations or initial fire attack drills, BullEx Smoke Generators don’t stop until your training is done. 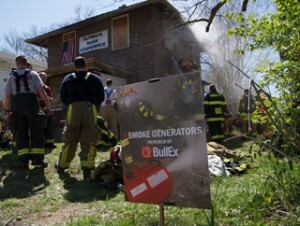 BullEx Smoke Generators use smart controls to continuously produce the best smoke possible for firefighter training. 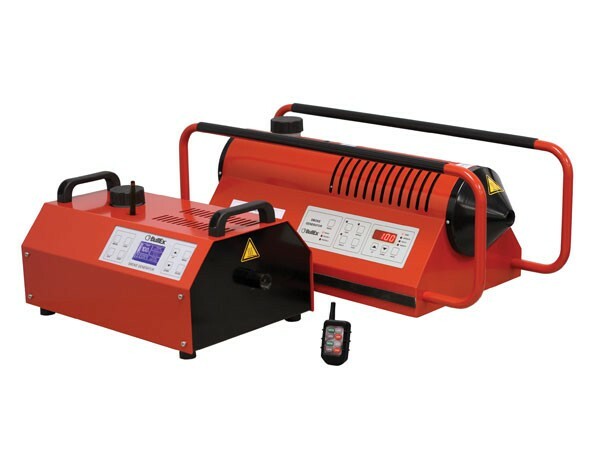 Built on steel chassis with all metal structural components, these smoke generators are built to handle the toughest training demands. 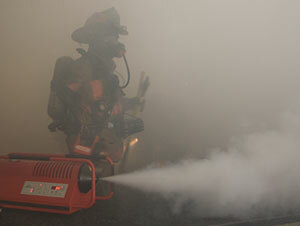 No matter how long or intense your session is, BullEx Smoke Generators don’t stop until your training is done. 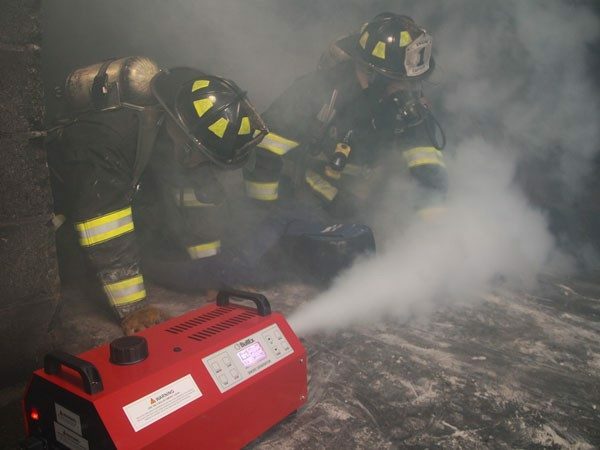 The BullEx Smoke Generator 6000 is a heavy-duty, high-volume Smoke Generator designed for the most demanding training scenarios. Dual heaters and a specialized heat exchanger ensure efficient smoke production on a large-scale. With integrated handles and built-in wheels the SG6000 can easily be repositioned in between evolutions. 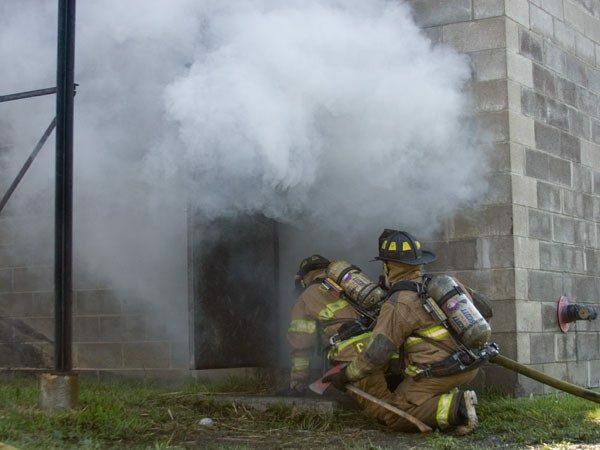 High Quality Training Smoke There are two major factors that affect training smoke quality: temperature and particle size. The uniform temperature inside the heating core ensures that the smoke fluid is vaporized into pure smoke. Temperatures that are too high result in burnt particles and temperatures that are too low result in a “wet” smoke that leaves a residue. Particle size is what determines the density and “hang time” of smoke. 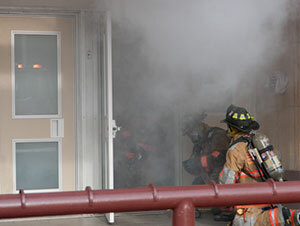 The more uniform the particle size, the longer the training smoke will last before dissipating. Traditional Smoke Machines All smoke machines create smoke by pumping smoke liquid through heaters. As heat energy is transferred from the heaters to the smoke liquid, the heaters inevitably cool down. Once below a certain temperature smoke can no longer be generated, which is why smoke machines not designed for fire training need time to reheat and recharge between discharges. 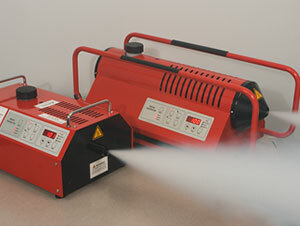 To extend operating time, these smoke machines often start at a higher-than optimal temperature, resulting in burnt particles. As smoke is generated, the heater temperature falls through the optimal range to below optimal resulting in “wet” smoke that leaves a residue. The smoke liquid is then cut off to give the heaters time to recover. BullEx Smoke Generators BullEx Smoke Generators are different. 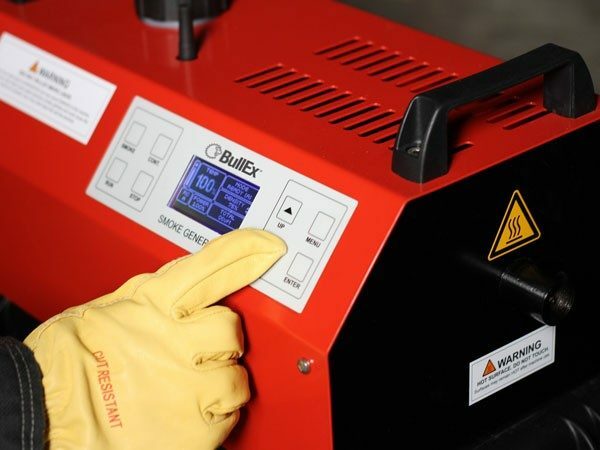 Instead of a constant flow of smoke liquid and a wide range of heater temperatures, BullEx Smoke Generators control the amount of liquid delivered to the heaters to precisely balance the heat transfer, ensuring a constant temperature and a constant supply of high quality smoke. This balance is achieved through advanced sensors and controls utilized by BullEx Smoke Generators. This technology not only provides a continuous supply of smoke, but also ensures the highest quality smoke possible with minimal burnt or un-vaporized particles. Smoke Liquid (available in 5, 10 and 20 liter and 50 gallon containers) Developed to efficiently produce dense, thick smoke with an extended hang-time. 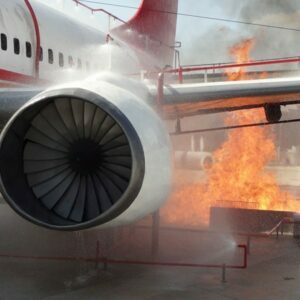 This is accomplished by optimizing the formulation of the Smoke Liquid specifically for use in BullEx Smoke Generators. Wireless Remote Control Add the wireless remote control to operate either Smoke Generator from a distance. Wired Remote The remote control will operate the Smoke Generator 4000 from a distance. 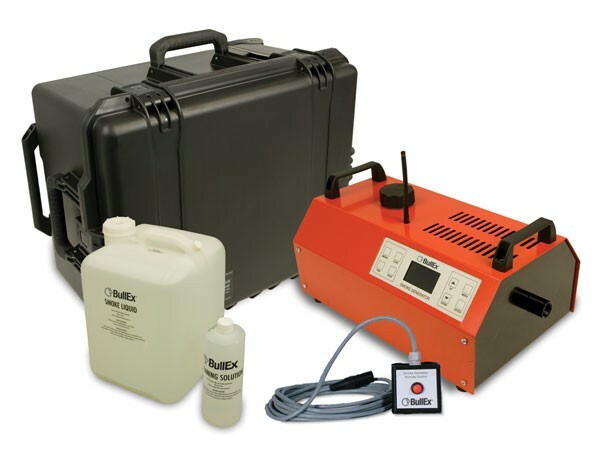 Cleaning Solution, 1 Liter Maintain optimal performance of your BullEx Smoke Generator with this Cleaning Solution. Flexible Smoke Duct Set Duct smoke to specific areas with the flexible smoke duct.